Since its premiere a year ago, Provocateur has been a distinguished addition to FRISKY’s DEEP channel, featuring Priya’s unique style of flow. Her blend of deep, melodic, progressive, and tech selections stays on the cutting edge, with a seamless mix that invites listeners to get lost in the music from start to finish. In the last year, Priya has been busy spinning live in India, and with an upcoming track that was featured on Hernan Cattaneo’s Residents podcast, her roles in the underground electronic music world are quickly expanding to new levels. 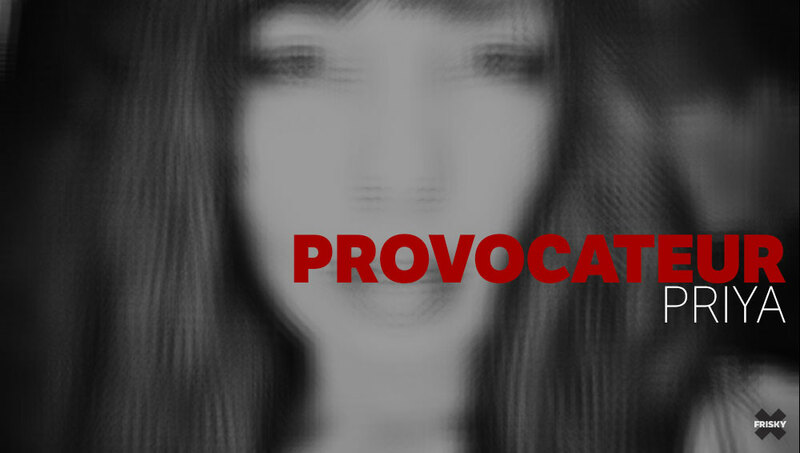 Provocateur will continue to be her connection to a global community of fans, for sharing the latest and greatest from the underground. I was happy to catch up with her to hear about this last year and what she’s excited about that’s coming up next. What are your favorite 3 tracks of the year? What have been some of your favorite DJ moments this year? I think the most special moments of this year has to be the two times I got the opportunity to warm up floors for the legend Hernan Cattaneo, he was touring with AFE India earlier in the year, what a wonderful human being and then the sheer presence and experience has motivated and driven me since. Do you have a personal favorite episode of Provocateur? I feel this November 2017 episode, is my favorite, because it truly reflects the sounds and slightly varied vibe I’m in to, without a doubt. What is your favorite part of having a show on FRISKY? Apart from the fact that I heart Frisky Radio for a long time now, I’m like a school girl with unbridled excitement for the time I sit and prepare with listening and choosing tracks for the show. I get lost in the making of the mix, it’s a very personal yet rejuvenating experience. I’m honored to be able to share my favorite tracks month after month, and makes this platform very special. What’s coming up for you that you’re excited about?